You shouldn’t have to go through the stress and hassle of having to organise and deal with your own property removal, when you can have us deal with the situation effectively, and at a very reasonable price. We handle all types of residential and commercial property removals in Bloomsbury and always get the job done right. We have many years of experience and the right work attitude, which means there is no removal too big or too complex for us to handle. Our expert movers and experienced drivers have the necessary practical skills and technical expertise to handle all aspects of your relocation like the true professionals they are. Our removal services are fully comprehensive and cover the entire project from start to end. Whether you have to organise a swift and efficient domestic removal, or end to end business removal you can count on us. Perhaps you have to relocate single or valuable items? No problems – we offer safe and efficient piano removals and furniture removals at great prices. Protection of items in our care is essential to our customers and us as a professional moving company, this is why we recommend using our specialised packing service. In case you wish to do your own packing just let us know and we will provide you with high quality packing materials minus the high costs. In case you need to get rid of some old junk on your way out, our efficient waste collection services which also include rubbish removal are exactly what you need. When it comes to cost efficiency, we will surprise you pleasantly with affordability and fair pricing. All customers will receive free quotes and custom tailored pricing. Midweek discounts are available for moving services. Coverage and assistance are crucial, this is why we maintain round the clock customer support, coordinate all removals through our call centre, and have nationwide coverage on deliveries. Swift and efficient transportation is another of our specialities. We own a fleet of well-maintained cargo vehicles of different size and load capacity. All vehicles are cleaned and sanitised after every removal and if necessary restocked with more removal blankets. Our vans are equipped with satellite navigation, and latching and hoisting equipment required for lifting and securing of heavy loads. So, when it comes to top quality removals in Bloomsbury now you know where to find them! While we do the heavy lifting, use the opportunity to explore one of the capital’s finest residential areas. Bloomsbury was developed and refined by the Russel family, thus turning it into a fashionable residential suburb. Trademark feature of Bloomsbury are the many, pristine garden squares. 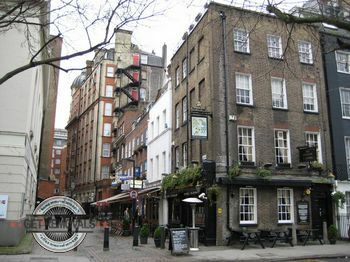 The first garden square construction project in London was not in Bloomsbury though, however the first such project to be completed in Bloomsbury in the sixteen sixties was actually the first to call the result a garden square in the true sense of the word. The area is also known for its many educational, healthcare and cultural institutions. The British Museum (as well as many other places of national importance) is in Bloomsbury.